Sanngetall Press will soon be releasing it’s final offering of the summer, a long awaited book on ancestor practice and venerating the dead. 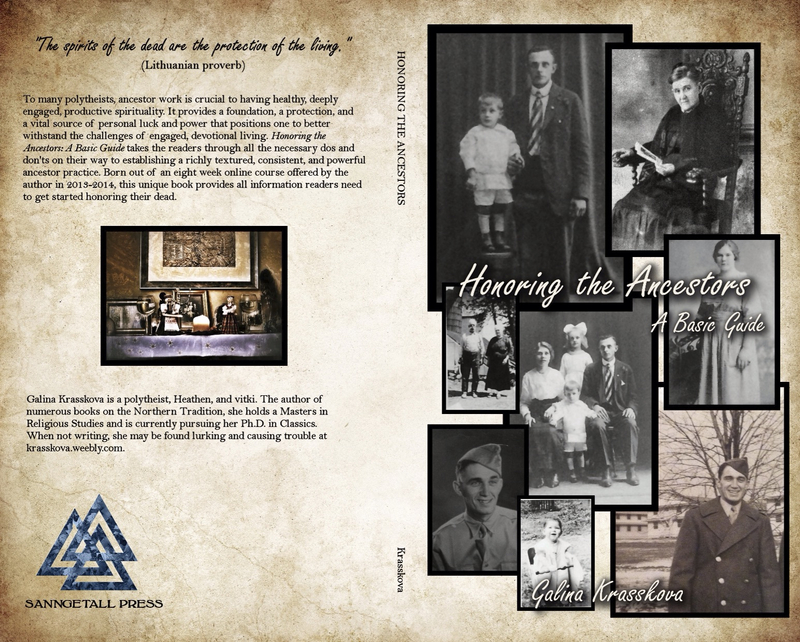 Galina Krasskova’s “Honoring the Ancestors: A Basic Guide” will be released in early September. Born out of her eight week online class in ancestor work, this book takes the reader through all the necessary do’s and don’ts of establishing a richly textured, consistent, powerful ancestor practice.